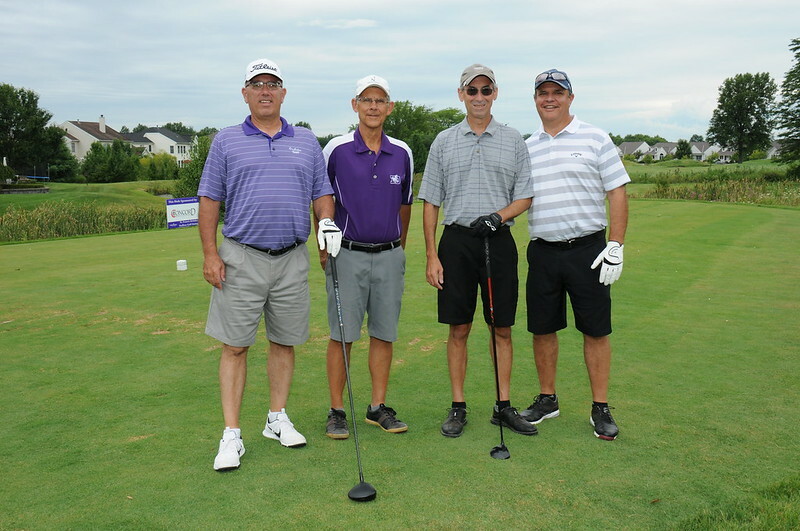 What: It serves as one of the three event fundraisers for the St. Francis DeSales High School Athletic Department while at the same time provides a fun, competitive, and social gathering with friends. What is the golfer fee and what does it include? The fee is $100 for an individual golfer and $400 for a foursome. The fee includes 18 holes of golf with cart, lunch, two drink tickets, dinner, and gift bag. Why is the golf outing important? Proceeds from this event provide financial support for the St. Francis DeSales High School Athletic Department. How can I get involved and who do I contact? Help promote the outing! Solicit a foursome (we need 36 teams)! Solicit a hole sponsor (ideally two sponsors per hole)! Participate as a golfer! Volunteer to help the day of the outing by contacting Institutional Advancement Office, Pat Murphy at 614-4267-7808 ext. 147. Signage on a hole at the event, name in the event program, and name on the event page of the SFDHS website. • Recognized as a Premier Foursome Sponsor for the Stallion Golf Outing. Signage on the sponsored reserved table, name in event program, event sponsor name mentioned during the event, hole sponsor signage, 4 mulligans, 4 additional drink tickets, and inclusion as an event sponsor on the event page of the SFDHS website. For additional sponsorship opportunities with St. Francis DeSales High School please view our Stallion Sponsorship Opportunities.